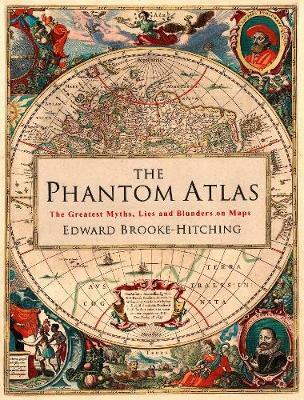 A STUNNINGLY ILLUSTRATED BOOK REVEALING THE GREATEST MYTHS, LIES AND BLUNDERS ON MAPS 'Highly recommended' - Andrew Marr 'A spectacular, enjoyable and eye-opening read' - Jonathan Ross The Phantom Atlas is an atlas of the world not as it ever existed, but as it was thought to be. These marvellous and mysterious phantoms - non-existent islands, invented mountain ranges, mythical civilisations and other fictitious geography - were all at various times presented as facts on maps and atlases. This book is a collection of striking antique maps that display the most erroneous cartography, with each illustration accompanied by the story behind it. Exploration, map-making and mythology are all brought together to create a colourful tapestry of monsters, heroes and volcanoes; swindlers, mirages and murderers. Sometimes the stories are almost impossible to believe, and remarkably, some of the errors were still on display in maps published in the 21st century. Throughout much of the 19th century more than 40 different mapmakers included the Mountains of Kong, a huge range of peaks stretching across the entire continent of Africa, in their maps - but it was only in 1889 when Louis Gustave Binger revealed the whole thing to be a fake. For centuries, explorers who headed to Patagonia returned with tales of the giants they had met who lived there, some nine feet tall. Then there was Gregor MacGregor, a Scottish explorer who returned to London to sell shares in a land he had discovered in South America. He had been appointed the Cazique of Poyais, and bestowed with many honours by the local king of this unspoiled paradise. Now he was offering others the chance to join him and make their fortune there, too - once they had paid him a bargain fee for their passage... The Phantom Atlas is a beautifully produced volume, packed with stunning maps and drawingsof places and people that never existed. The remarkable stories behind them all are brilliantly told by Edward Brooke-Hitching in a book that will appeal to cartophiles everywhere. The son of an antiquarian book dealer, Edward Brooke-Hitching became an award-winning documentary director making films that examine the eccentric side of British life. He lives in London.